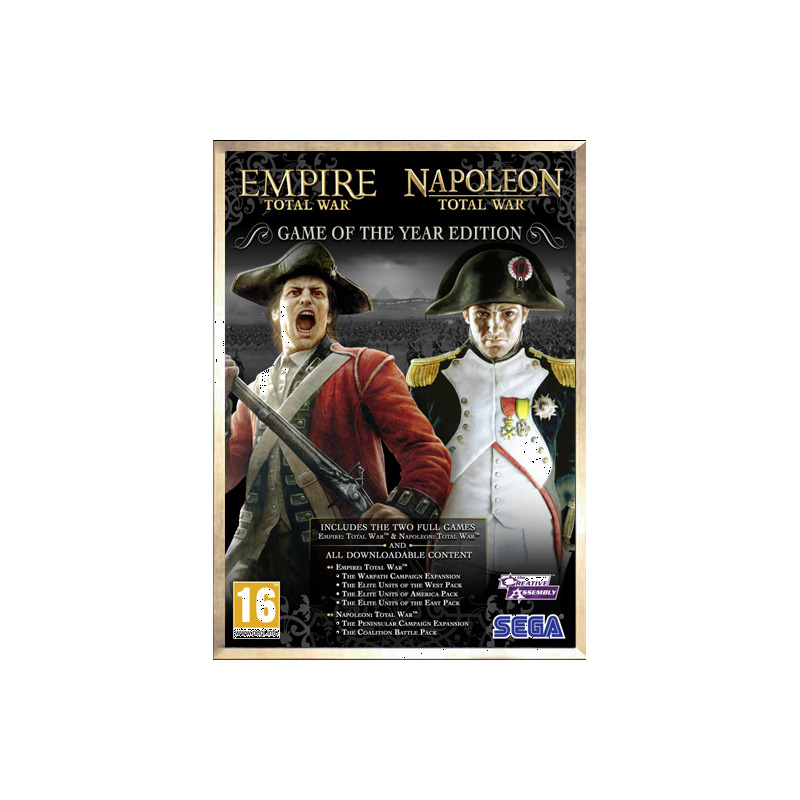 Comprising the award winning Empire: Total War and its dramatic sequel Napolean: Total War this Game of the Year edition covers over a century of epic wars and revolutions that shaped the world. Battles are played in stunning 3D real time with thousands of troops at your command. The turn-based campaign is where the empire building gameplay takes place. Command the seas, control the land, forge a new nation, and conquer the globe. Empire: Total War captures the eighteenth century Age of Elightenment in stunning detail. Introducing true 3D naval combat for the first time. Choose from 12 factions and expand your empire over the largest campaign map ever. Take part in the founding of the United States in the episodic "Road to Independance" campaign. Expand the experience with the entire Downloadable Collection, including the Warpath Campaign which introduces 5 unique American Indian factions. 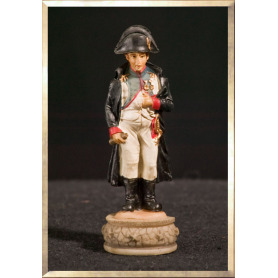 Step into the shoes of General Bonaparte or one of his fiercist enemies and battle your way through the turbulent Napoleanic era. Will you match the achievements of the legendary general, or destroy them? Three story-driven campaigns immerse you in the life and battles of Napolean in Italy, Egypt and across the entire European continent. 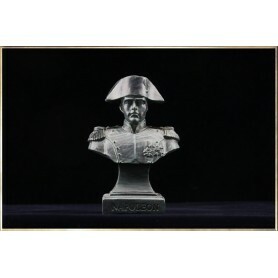 Experience the famous conflicts of the Napoleonic age on land and sea: Austerlitz, Trafalgar, Waterloo and many more. New campaign multiplayer: Play online against a friend for the fate of Europe. 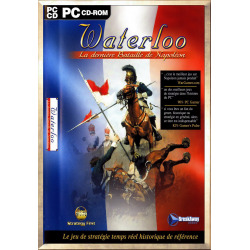 Also includes the entire Downloadable Collection, featuring the Peninsular Campaign expansion, an exciting campaign based on the conflic that saw the birth of Guerrilla warfare.